Classified » Home & Garden » Home Improvement » Save Up To 10% To 25% On Tikar Getah Flooring!! ENJOY CHINESE NEW YEAR DOUBLE BONANZA PROMO!! 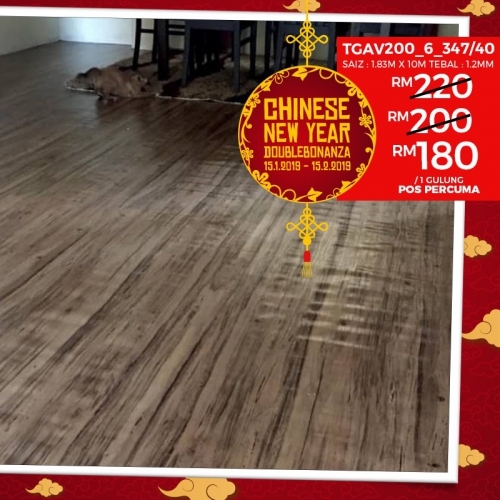 SAVE UP TO 10% TO 25% ON TIKAR GETAH FLOORING!! SAVE 10% ON TGAV200 - ITS REGULAR PRICE IS RM200/ROLL BUT NOW THE PROMO PRICE IS RM180/ROLL ONLY! !